Rob Smith Archives | HU17.net – It’s all about Beverley! 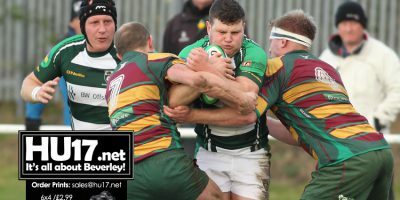 Beverley RUFC entertained Old Brodleians in the last match of the season at Beaver Park in this Yorkshire League Division 1 game and what a cracking match it turned out to be. 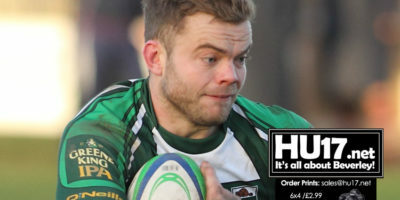 Brodlieans kicked off towards the clubhouse and as Beverley mounted an attack up the right flank an interception from a sloppy pass in the Beverley backs led to a try to Brods in the third minute (0-5). Play then settled down with each side sharing possession in the midfield. With several of their most influential players absent, this looked like being a tough afternoon for Beverley. Not a bit of it. This was an altogether absorbing match and a fine performance by the young Beverley side. In recognition of the Club’s annual Ladies Day, they turned out in pink shirts and flowery shorts but mercifully did not play accordingly. Far from being a drab end of season affair, this was a cracking game with some top quality play by both sides. Beware the ides of March. But not this week. 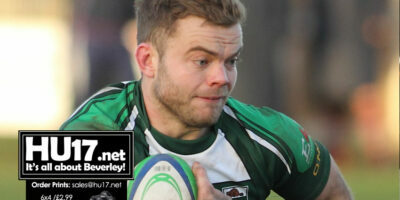 After the dismal affair a week ago at Dinnington Beverley were back on top form securing another outstanding bonus point win – the seventh in their last eight games. 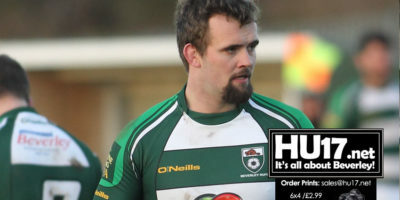 Crossleyans started the match only one point behind Beverley but never really got a look-in and Beverley comfortably cruised home scoring six tries in the process all of which Phil Duboulay converted in difficult conditions. In perfect conditions, a good crowd at Beaver Park on Saturday were treated to an exhibition of champagne rugby. Beverley ran in 10 tries, 9 of which were converted, to 3 with I converted by Bradford Salem. What a match. This was what proper rugby at its best is all about. Two sides at the top of their game going hell for leather for eighty minutes – and with never a hint of ill-temper from start to finish. The result could have gone either way. After a 66 point feast of scoring only two points separated the sides at the end and neither could have complained at the outcome whichever way it went. Beforehand there was an air of expectancy. Beverley arrived here on the back of four consecutive bonus-point wins and Heath’s recent record was not much inferior. 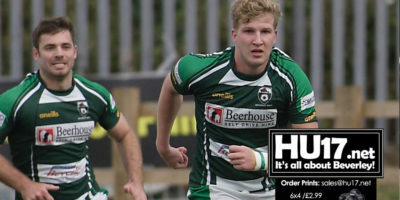 Back in October last year Beverley RUFC visited Hullensians and ended up on the wrong end of a 5-29 defeat. That poor performance ended a four-match winning run and it took another month for the Beavers to recover their form and return to winning ways. New year, new Beverley. After a disappointing late autumn in which they rather lost their way Beverley in 2019 look to have recaptured the early season spark that had them riding high in Yorkshire One. Following their impressive win the previous week against Pontefract this was another first-class display and another well earned victory. Moreover, for most of the game, they did it with fourteen men after Alfie Hart-Fisher had been red-carded early on for dangerous play. They owed a lot to their pack which even down to seven men still ended the game looking the stronger of the two sets of forwards. A good natured crowd, a fast game, and a tight finish; this was a good day’s rugby. After three defeats in their last four league outings Beverley badly needed a win here. Not to get one was a disappointment and they now find themselves languishing in mid-table. It wasn’t for the want of trying and there was plenty of enterprise but in the end they could have no complaint at the final result. A close run thing but Beverley eventually went out of the Yorkshire Shield. It was a high scoring and absorbing game throughout and in the end, there were only two points in it. Perhaps the relevant factor was that while Beverley’s scores all came from their own exertions every Moortown point resulted directly from a Beverley error. Beverley should have won this match comfortably but simply gave it away through their own profligacy. In perfect playing conditions both sides contributed to an enjoyable game in the crisp autumn sunshine providing plenty of entertaining running rugby. Beverley RUFC were clearly the classier of the two teams and they turned it on in the second half with some exhilarating play to bring them a comfortable victory. 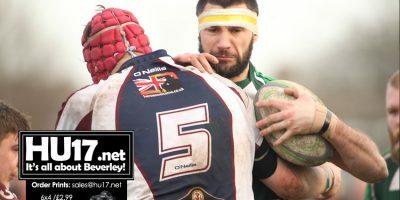 In the end a comfortable win which took Beverley RUFC up to second place in Yorkshire One. After twenty minutes this match looked like being a whitewash. 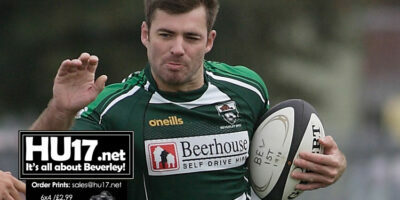 Beverley were then already twenty four points up with a four try bonus point in the bag. But by the time the game went into its last quarter it had all changed and Beverley, while not exactly hanging on, were certainly having their work cut out to finish with the win. Plenty here for Beverley RUFC to take encouragement from but still a hugely disappointing outcome to this opening fixture. For three-quarters of the match it had all looked so promising. 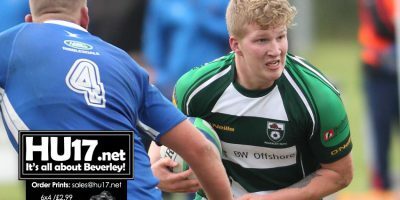 Beverley led 19-12, were well on top, and looked odds-on winners until they fell apart in the last quarter of an hour during which they conceded four tries and ended up with a fairly heavy defeat. 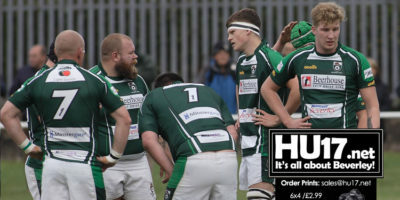 Beverley RUFC travel to North Yorkshire this Saturday as they take on Scarborough in the Northern Division, a match that be crucial to their promotion ambitions. 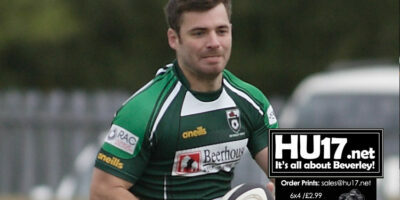 The Beavers have enjoyed a good run of form in recent weeks that has seen them beat Heath in both league and cup. A helter-skelter of a match. Beverley deservedly won in the end but they had to withstand a terrific late Scarborough onslaught during which the two sides between them scored 31 points in the last 25 minutes. Beverley led 25-6 going into the final quarter and looked to have the game comfortably in the bag. They had been the better side throughout and were playing by far the more controlled rugby. They could scarcely have anticipated the rumbustious ending to come. A damp murky West Yorkshire afternoon and not one that Beverley will particularly want to remember. In the heavy underfoot conditions they could never quite come to terms with the big Heath pack and in the end could have no complaint at the final outcome. They did have their moments particularly in the first half and on a firmer surface it could all have been very different. A bit of a curate’s egg here. There were flashes of scintillating rugby, mainly from Beverley, but for the most part this game never rose above the mundane. Beverley deservedly won in the end but they made heavy weather of it. They were the better side but they were never quite at their best, probably through being without several of their key players.